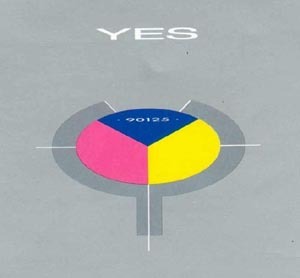 In 1983, Yes released 90125, which turned out to be their most successful album commercially, producing their only number one single, "Owner of a Lonely Heart." Of course, when you have that kind of success, it is normal business practice to milk it for all it's worth, and Yes followed it up with a mini album of solos from live performances, 9012Live: The Solos and then the concert video, 9012LIVE. I'm not going to bother addressing the music in 9012LIVE as you probably already know where you stand on that issue. The concert footage was shot over two nights in Vancouver. The actual performance is fairly restrained as the band tends to adopt a stand still and play the songs strategy, so it's up to director Soderbergh to spice things up visually. For that, he employs some standard music video techniques such as split screen effects and editing to the music to add a more dynamic quality to the performance. However, these are only partial solutions that might work for a song or two, but are not likely to be able to hold up over an entire concert film. Soderbergh solves this problem through the use of archival footage and computer animation to weave a very loose narrative through the film, focusing largely on the theme of technology and cold war fears. He uses this footage in a variety of manners to keep the device from becoming stale itself. Early on the performance footage floats through a computer-animated landscape interacting with found footage boxed in picture in picture configurations. While the animation certainly looks cheesy by today's standards, it does approximate the progressive band's album cover art. As the film progresses, the use of archival footage becomes somewhat more sophisticated. Sometimes it's used with a wink, as in when the band sings, "seen all good people turn their heads." we are treated to a montage of, well, people turning their heads. The two standout numbers, "Changes" and "It Can Happen," are the instances where Soderbergh uses the footage to tell a story. In "Changes," the meaning of the song itself is altered somewhat through the use of footage that apparently comes from an old educational video. The effect of colorizing one character, a teen age girl, in otherwise black and white footage reconstructs the song and turns it into an examination of the difficulties experienced as she makes the transition from girl to woman. Soderbergh then foretells his own later work in Erin Brockovich as he turns "It Can Happen" into a warning about environmental pollution and particularly contamination of our water supply. 9012LIVE doesn't take a place among the best concert films, particularly since the performance segments aren't all that imaginative, but Soderbergh does manage to keep things interesting with the supplementary material. It's probably not going to change anyone's opinion of the band, and it is also somewhat dated, but it does manage to rise above time capsule curiosity, and provides a complement to the music. In that respect, it accomplishes one of the basic goals of any concert film and ultimately provides an entertaining experience even for those who aren't the biggest Yes fans.